This is the Lunar Module Systems Activation Checklist Book of Apollo 13. 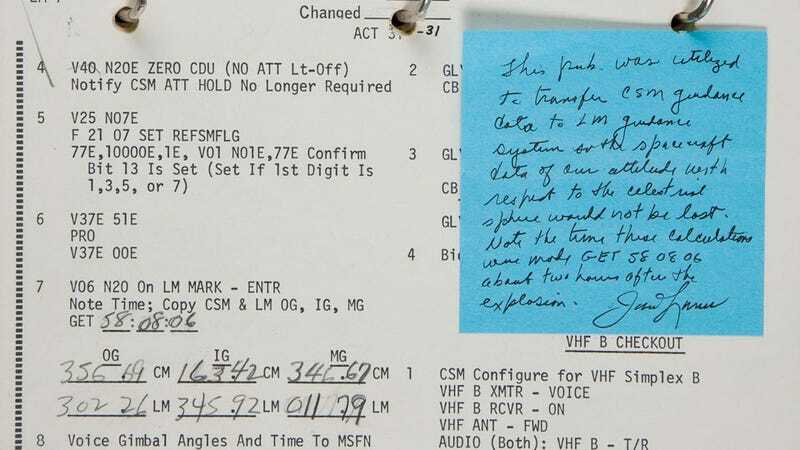 The handwritten numbers are part of the calculations made by Commander James Lovell, just two hours after a service module's oxygen tank explosion left them marooned in space. The values were written by Lovell on the manual—which was sold in an auction yesterday night for $388,375—and were crucial to put the ship on the course that would return it to Earth. Lovell explains it briefly in that blue post-it note.